Test your child’s theology with five questions…. 2. What else did God make? 3. Why did God make you and all things? 4. How can you glorify God? 5. Why ought you to glorify God? 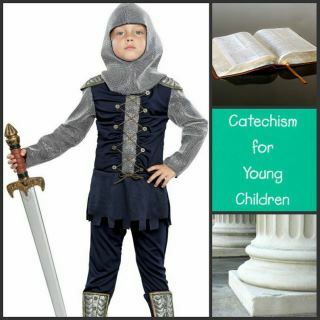 Excerpt from Catechism for Young Children. (An Introduction to the Shorter Catechism) For free down load click here. HT Reformed Gene via FB.